For most people, the United Arab Emirates means just one place: Dubai, the sci-fi-esque city of iconic skyscrapers, palm-shaped islands, city-sized malls, indoor ski slopes and palatial beach resorts. But beyond the glitter awaits other diverse regions, each with its own character and allure. Abu Dhabi, the UAE capital, is positioning itself as a hub of culture, sport and leisure. A visit to Sir Bani Yas Island allows you to relax at a luxurious resort, safari along side free-roaming animals or swim the calm azure waters of the Gulf. 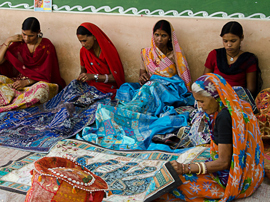 And with three days in India, you will really extend your cultural experience! With stops in Goa and Mumbai, the former city of Bombay, you’ll see what big city life is like in India. From famous landmarks to the people who make up this sprawling city, you’ll see it all. Add to all this a great group of Jewish singles and your Arabian Sea & India New Years Cruise will be a vacation that will change your life! 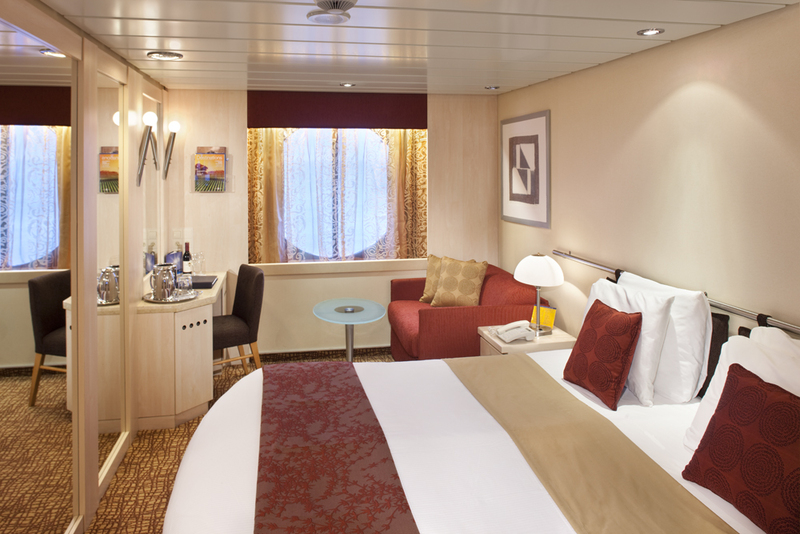 Our home-away-from-home for this 14-night adventure is on the beautiful Celebrity Constellation. And to make your vacation as hassle-free as possible, we have bundled everything together, so the price you see is the price you pay. The rates on our Pricing tab include all taxes, gratuities and fees (valued at $342), a beverage package for those in Ocean View staterooms and higher (valued at $770), and much more. And of course, a full array of programming both onboard and on land from the Amazing Journeys team. With all of these additions, our cruise is virtually all-inclusive! Click here to see a preview video of our Arabian Sea & India New Years Cruise! Embark Celebrity Constellation, depart at 6 pm – Our cruise and your Amazing Journey begins today. Get to know your fellow travelers as we gather poolside for a Meet and Greet as the ship sets sail. After, we’ll gather together for our Group Welcome and Orientation, followed by our group dinner onboard. Later tonight, start your vacation on the right foot and join us in an evening of dancing in one of the many entertainment venues onboard our beautiful ship, Celebrity Constellation. Cruising – Explore our home-away-from-home and get to know your fellow Amazing Journeyers as we enjoy our first day at sea. 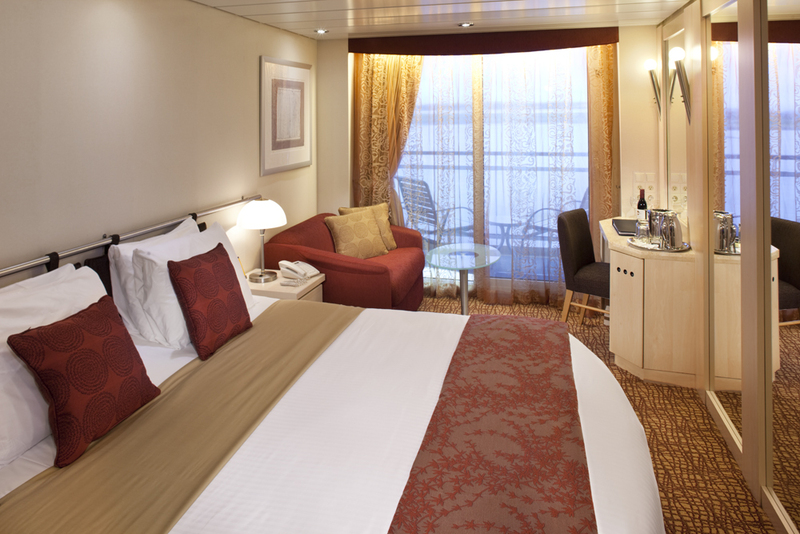 Celebrity Constellation has a ton to offer so why not indulge? Join in one of our group exclusive events and gear up for a great vacation of adventure, exploration and good times. Take in live music while relaxing poolside, learn about the history of the region and more. Tonight, we’ll come together for an Amazing Journeys cocktail party and an evening of exciting onboard activities. Cruising – Our day at sea will provide lots of opportunities for group fun. Enjoy a massage at the spa, participate in wine tasting or yoga – the day is yours to recharge. Later, join us for “Jacuzz-a-Palooza” with your new friends. Cruising – Today you’ll get to enjoy all you came on a cruise to do… relax poolside with your new friends while sipping a daiquiri, try your luck in the casino or enjoy the spa. Plus, we’ll have some group activities to make your day even more enjoyable. Our day at sea will provide lots of opportunities for great times on our floating resort. This evening, enjoy an amazing show in the theater and late night dancing. Arrive at 7:30 am, depart at 4 pm – The magical state of Goa used to be an outpost of Portugal, so the palms on its beaches still sway with a certain Portuguese rhythm. 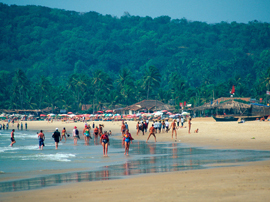 The laid-back lifestyle in India’s smallest, most prosperous state attracts many world travelers. You can explore world-heritage architecture, fragrant spice plantations and cuisine that blends Portuguese technique with Indian flavors. Arrive at 8 am – Mumbai, a metropolis of almost 18 million people, ranges from upscale to urban, cosmopolitan to traditional and is always fascinating. Before Mumbai became the city that it is now, it was a collection of seven islands which was eventually formed to form Bombay. Explore a little more and you’ll uncover unique bazaars, hidden temples, trendy enclaves and India’s premier restaurants and nightlife. Depart at 6 pm – The “City of Dreams” is full of furious energy and the heart of the city contains some of the grandest colonial-era architecture on the planet. Bollywood produces more films here than anywhere and this cultural hub enjoys a constant flow of music, dance and drama. You can explore everything from exclusive international boutiques to small authentic markets and sample local street foods like kebabs. Tonight we join together to celebrate a beautiful Shabbat at sea together with our Amazing Journeys family. Cruising – Spend the day relaxing poolside, enjoy a massage at the spa, participate in pilates – choose to do it all or nothing at all. It’s your vacation, and we want you to enjoy every minute of it! Tonight, choose an optional dinner at one of the specialty restaurants or enjoy the main dining room. After, listen to the sounds of one of the fabulous musicians featured onboard our ship. Cruising – Participate in our Amazing Journeys group event, discover the culture of the region at an onboard lecture and enjoy another relaxing day in the Arabian Sea. Later, we’ll join together for the excellent entertainment offered onboard. Arrive at 2 pm – Dubai can be admired for its ambition and ability to dream up and realize projects that elsewhere would never get off the drawing board. This unparalleled society has built unfathomably high buildings and palm tree shaped islands, showcasing a mindset that embraces the future. It is clear that Dubai is a city in charge of crafting its own story. Tonight, prepare for an evening of New Year’s Eve festivities. Dubai is known worldwide for their New Year’s celebrations and Celebrity Cruises offers up one of the best parties on the high seas, so pop the champagne, don your New Year’s best and countdown to an amazing 2019! Start the new year off in this incredible country and take a stroll and admire the stunning architecture of traditional mosques right next to ultra-modern buildings. 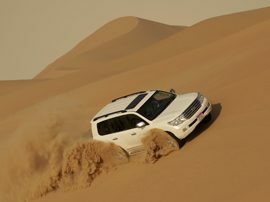 Our optional tours may include riding 4 x 4 vehicles across rich orange sand dunes in the desert, a camel ride, going up to the 124th floor of the tallest building or taking a boat ride around the city. Enjoy a free night out on the town! Depart at 6 pm – Dubai is a fascinating fusion of modern city and old world markets. Pick up a wonderful memento at The Souq, which is made up of various shops such as the Spice Souq, the Textile Souq and the Gold Souq. Travel between the two by water taxis that cross Dubai Creek. The leading center for business and tourism in the Middle East, Dubai offers a distinctive blend of modern city amenities and the ancient charm of Arabia. Arrive at 7 am, depart at 5 pm – This small Island southwest of Abu Dhabi is home to a menagerie of free-roaming wildlife. A nature-lover’s paradise, Sir Bani Yas is a hidden gem just waiting to be explored in the Persian Gulf. 13,000 animals call the island home, and many species have been brought back from the brink of extinction thanks to decades of conservation work. Embark on a safari excursion, or take advantage of other outdoor activities such as mountain biking, kayaking, hiking, and snorkeling. Tonight, join us for our Amazing Journeys Farewell Event. Arrive at 7 am – Abu Dhabi, the capital of the UAE, isn’t afraid to challenge world records. From the world’s fastest rollercoaster to the highest high tea, and the tower with the greatest lean to the largest cluster of cultural buildings of the 21st century, you can see just about anything here. As you explore this exciting city you’ll notice that nothing stands still. Tonight, join together with others from our group for our Amazing Journeys Shabbat, followed by a group dinner onboard or for those who prefer, an evening at leisure to discover Abu Dhabi. Our cruise ends here. You’ll take home memories of your experience in the United Arab Emirates and India, plus friendships to last a lifetime. A deposit of $550 ($1100 for single occupancy) is due with your reservation. Final payment is due on October 1, 2018. Larger suites are available upon request. Cabins are assigned at time of registration. Those who sign up first receive priority cabin location. Take the stress out of travel and come in one night prior to the cruise. After your arrival into Abu Dhabi or Dubai, you’ll be transferred to our group hotel. Tonight, meet up with others from Amazing Journeys and enjoy a free evening to check out Abu Dhabi’s restaurant scene or take it easy this evening after your long flight. Rate includes one night hotel, transfer from the airport to our hotel, hotel room, taxes, gratuities, breakfast and transfer from the hotel to the ship. Cancellation Policy for Cruise and Pre-Cruise Packages: From the time of deposit until July 5, 2018, there is a $100 penalty for cancellation. From July 6 – October 1, 2018, the cancellation penalty is the amount of the deposit for the cruise and pre-cruise package. From October 2 – November 14, 2018, the cancellation penalty is 50% of the total for the cruise and pre-cruise package. Cancellations made on November 15, 2018 or after and “no-shows” will receive no refund. There is no refund in the event of interruption or cancellation after the start of the cruise and pre-cruise. Proof of Citizenship: All passengers must present a valid passport (valid for six months beyond the last date of travel) for this trip. Visas are necessary for entry to India and the UAE and more details will be sent to confirmed passengers approximately three months prior to trip departure. Please note that visa requirements may change at any time. Port Taxes, Fuel Surcharges, Government Fees and Gratuities: Port taxes, government fees and gratuities have been included in the rate. Port taxes, government fees and gratuities are subject to change. 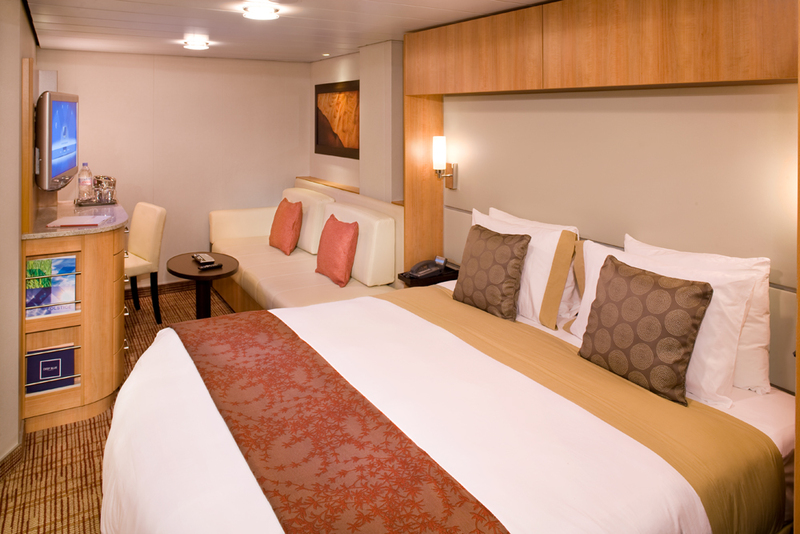 Fuel surcharges were deleted from the rates due to a suspension in fees by Celebrity Cruises. Should oil costs go above $65 per barrel and the cruise line reinstates these fees, Amazing Journeys reserves the right to add them back at that time. The cost will be no more than $10 per guest/per day. Flights: International airfare is not included in the cruise rate. For our pre-cruise package to India, there is one internal flight which is included. Airfare should not be purchased until you receive your confirmation letter with specific flight parameters. Transfers: Transfers for the cruise are additional. Optional transfers will be offered at the time of final payment. Our pre-cruise package includes all transfers.